Kentucky and the nation were facing political realignment in the 1820s. The Federalist Party had met its demise. During the election of 1820, President James Monroe of the “Democratic-Republican” Party without Federalist opposition won all but one of the votes of the Electoral College. The “Panic of 1819” hit Kentucky hard and was an issue in the early 1820s. The Courts did not give debtors the relief sought. As a result, some legislators wanted to create a new court system which would treat debtors more favorably. The Presidential Election of 1824 was between four members of the “Democratic-Republican” Party. They were Andrew Jackson, John Quincy Adams, Henry Clay and William H. Crawford. As none of the four received the required majority of 131 votes in the Electoral College resulted in the election being decided by Congress. Henry Clay, then Speaker of the House threw his support to John Quincy Adams. With Clay’s support, John Quincy was elected President. Once Adams assumed office, Clay was appointed Secretary of State. The bitterness caused by Clay’s support of Adams and subsequent appointment was called the “corrupt bargain” by supporters of Jackson. The Democratic-Republicans who supported Jackson were now called Democrats and those who supported Adams and Clay were called Whigs. The Whig Party would dominate Kentucky politics until after Clay’s death in 1852. The seventh person and third general to serve as Kentucky Governor was John Adair. Adair saw service in the South Carolina Militia in the American Revolution prior to moving to Kentucky. During the Indian Wars of the northwest during the 1790s, Adair served in the Kentucky Militia and rose to the rank of Brigadier General. 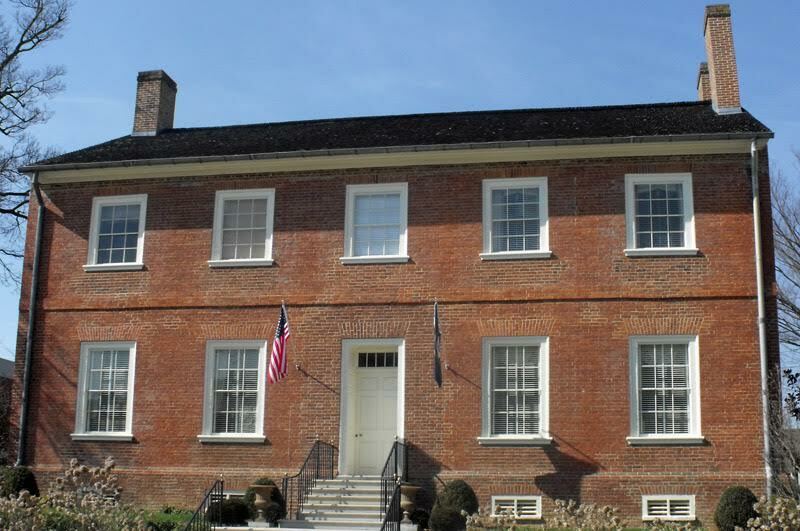 When Adair was not active in the military or politics, he worked on his farm in Mercer County near Harrodsburg. 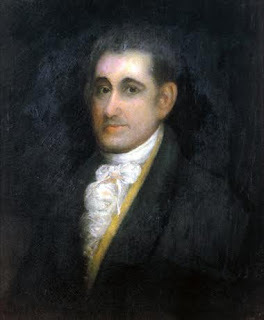 Beginning in 1793, he was elected by the voters of Mercer County 13 times to the Kentucky House of Representatives. As a member of the Kentucky House, he served two terms as Speaker. When U.S. Senator Breckinridge was appointed U.S. Attorney General by President Thomas Jefferson, Adair was selected to fill the vacancy. He served in the Senate briefly from 1805 to 1806. In the fall of 1806, Adair was implicated by General James Wilkinson of being involved in a plot with Aaron Burr to commit treason by creating a new nation in Spanish lands including Mexico. Adair was found innocent of all charges. However, the legislature which was meeting simultaneously failed to elect Adair to a full-term in the U.S. Senate. Adair served with distinction at the Battle of the Thames with Isaac Shelby during the War of 1812. Elected Governor in 1820 during the economic panic, he emphasized better state funding for education, prison reform and the creation of the Bank of the Commonwealth which would make it easier for common Kentuckians to borrow money. In addition to creation of the Bank of the Commonwealth, the legislature created a “Literary Fund” which was to distribute funds to the counties to establish schools. However, the legislature used most of the money in the “Literary Fund” for other projects. After leaving office, Adair served one term in the U.S. House of Representatives from 1831-1833. Adair counties in Kentucky, Missouri and Iowa are named in honor of Governor John Adair. Family controversy dogged the administration of Joseph Desha, the eighth person and fourth general elected to serve as Kentucky Governor. Desha served six consecutive terms in the U.S. House of Representatives and served as a major general in the War of 1812 prior to his election as Governor. After being defeated in 1820 by John Adair, Desha was elected Governor in 1824 on a platform of “debtor relief”. His debtor relief plan was passed by the KY General Assembly but was blocked by the Court of Appeals. As a result, he attempted to abolish the Court of Appeals by creating another Court. The tensions between the new court and old court proponents were so high that many arguments became violent. This almost occurred during an argument or confrontation in Frankfort between the Governor and Robert Wickliffe which would have turned into fist a cuffs had Wickliffe had not retreated from the situation. Another controversy involved Desha’s son, Isaac. Isaac Desha, a resident of Fleming County, murdered a man from Mississippi visiting Maysville, Kentucky. He was tried in Cynthiana and was convicted of murder. Young Desha was represented by John Rowan, a future US Senator from KY. In 1825, the judge who presided at the trial, George "Peg Leg" Shannon was appointed to the bench by Governor Desha in 1824. Shannon overturned the jury verdict and ordered a new trial. The "good citizens' of Harrison County burned Judge Shannon in effigy because of obvious political favoritism. As a result of public outrage, George Shannon left Kentucky and moved to Missouri. In 1830, President Andrew Jackson appointed Shannon US Attorney for Missouri. (Craig; True Tales of Old-Time KY Politics). In 1826, Isaac Desha was tried again and convicted a second time. Rather than see his son hang, Governor Desha used his pardon power to pardon his son. Desha was roundly criticized for this act which probably ended his political career. When Desha’s term ended in 1828, Thomas Metcalfe was elected to succeed him. Desha had been a supporter of Andrew Jackson in 1824. Desha had “hard feelings” against Metcalfe who as a member of the U.S. House of Representatives voted for John Quincy Adams. This was seen in Desha’s threat to bar the door of the Governor’s Mansion to keep Metcalfe out. Fortunately, friends succeeded in changing Desha’s mind. Following his service as governor, Desha retired to his farm in Harrison County. The only stone mason to serve as Governor was Thomas "Stone Hammer" Metcalfe. Governor Metcalfe was a skilled stone mason prior to his entry into public life. His work included the tavern in Versailles owned by Henry Clay's mother and step-father. He also laid the stone foundation for the Governor's Mansion which is now known as the Lt. Governor's Mansion. Metcalfe served as a Captain during the War of 1812 where he led a company in the Battle of Fort Meigs (Ohio). He began service as an elected official first as a member of the Kentucky House of Representatives (1812 to 1816) and in the U.S. House of Representatives from March 1819 until his election as Governor in 1828. In the U.S. Congress he served as chairman of the Committee on Indian Affairs and the Committee on Militia. During the disputed Presidential Election of 1824 decided by Congress he voted for John Quincy Adams (who was supported by Henry Clay) over Andrew Jackson. Metcalfe was a Whig and political ally of Henry Clay. The Whigs would dominate the Kentucky Governor's Office from 1828 until after the death of Clay in 1852. As Governor, "Stone Hammer", supported the Whig position for internal improvements "as essential to the welfare of the state". Projects supported included the canal around the Falls of the Ohio at Louisville, bonding for the railroad between Lexington and Cincinnati and the highway/toll road known as the Lexington and Maysville Turnpike now the route of US 68 which ran by Metcalfe's farm in Nicholas County. Governor Metcalfe’s only successful achievement to advance education in the Commonwealth was a report on the status of education in Kentucky. The report was produced by Rev. Alva Wood and Benjamin Peters. It noted that only one-third of the children in the state attended school of any kind. The report’s recommendations were not acted upon. Governor Metcalfe spoke against South Carolina’s threats of nullification of the federal tariff. Metcalfe believed that allowing one state to nullify federal law would result in dissolution of the Union. After serving as Governor, "Stone Hammer" Metcalfe was elected to the Kentucky State Senate serving from 18324 until 1838. On June 23, 1848 he was appointed to the U.S. Senate filling the balance of John J. Crittenden's term when he resigned to become U.S. Attorney General. Metcalfe died in August 1855 of cholera at his home in Nicholas County. 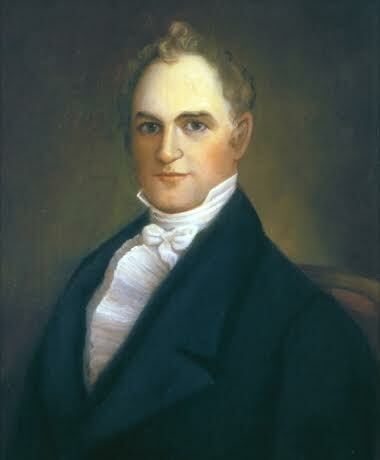 Metcalfe County is named for Kentucky Governor Thomas "Stone Hammer" Metcalfe.